On the last day of May the State Assembly passed AB 686. The bill was authored by Assemblymember Miguel Santiago and the principal co-author was Senator Scott Wiener. According to them, the bill addresses housing discrimination, and will “affirmatively further fair housing”. Is this true? Well, yes and no. There’s no doubt that under the current administration, the Federal Government is trying to undermine the Obama-era Affirmatively Furthering Fair Housing Rule (AFFH Rule). And clearly in California there are millions of people who need affordable housing. So you’d think any effort to promote fair housing would be welcome. Provides that if a public agency fails to meet its obligation to affirmatively further fair housing, then that failure would constitute housing discrimination under the California Fair Employment and Housing Act (FEHA). The bill lists many things listed as potential “barriers that restrict access to opportunity”. In other words, almost anything a city does or doesn’t do as part of the planning or approval or legislative processes could be construed as a barrier. And all it would take is a “verified complaint” to give the DFEH grounds to sue. Is this far-fetched? 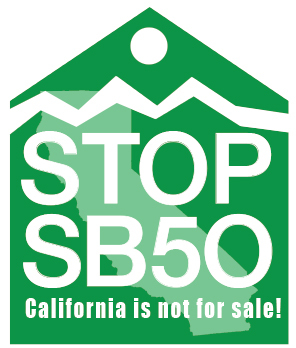 Is there anyone out there who would use AB 686 to sue cities based on “zoning restrictions, development limitations, and other actions, inactions, policies, regulations, programs, practices, decisions or investments”? CaRLA is the legal arm of YIMBY, who is writing the legislation being pushed through Sacramento by the champions of up-zoning. 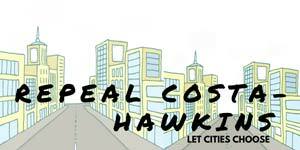 One of the biggest scams that is coming out of the housing wars is the claim that dense housing is good for the environment. It is certainly not good for the health of the citizens living with the results of streets full of homeless people displaced by the Fair Housing Rules. The only beneficiaries of the YIMBY legislation are the YIMBYs and their corporate masters who are taking over the what was a liberal state.